In 2005, I was invited to a scientific meeting on Muscat vines at Lanzarote (in the Canary Islands) – a real geological laboratory. Here the vines survive in great big holes dug by the lava, protected from the wind by dry walls. A difficult environment, and yet the vines here have an impressive longevity, sometimes living longer than two centuries. I’ve never seen vines as old as these ones before. 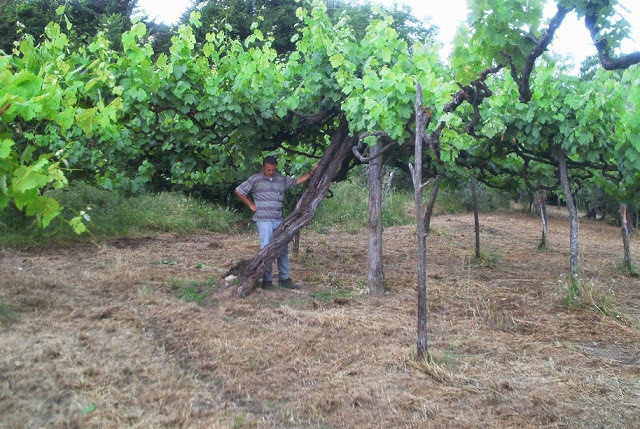 Of course, there are examples of old vines in other areas and there are numerous initiatives directed at their valorisation, such as those in Alto Adige, Puglia, Valle d’Aosta, Slovenia (Maribor), California, Australia (Barossa Valley) and France (College of Jesuits of Reims), but century-old vines are very rare. When they are well cultivated, they are capable of producing extremely unique, outstanding wines – true catalysts of the pleasures of wine. These values are attracting some fans, and should probably be given more economic resonance with incentives and initiatives. Researchers, both those in viticulture and enology, should also dedicate more time to this field. Modern and large-scale viticulture distances the man from the plant. The plant is marked by severe and repeated cuts to maintain a predominately hedge-like shape, and this leads to the early decline of the plant. Historically, the vineyards had a much freer form with limited containment measures both in expanded forms (tree-lined, married vine) and in more contained ones (head spur gobelet). The increasingly shorter duration of the vineyard and growth in wood and vascular diseases are signs of a growing distance between modern techniques and the anatomic biology of the vine. After 25 years, production is more contained and we can expect more balanced vines… but the vineyard is exhausted. Modern management is often more of a requirement than a rational choice. The ability to combine mechanisation and the needs of the vine can help improve the plant’s wellbeing and its duration with secure economic advantages and improved wine quality. But the revaluation of old vines must be a strong national undertaking around which to build historic values, landscape architecture, germplasm resources, naturalistic designs and unforgettable taste and aromas. We must return to investing in the culture of the vineyard and its historical areas or “vineyard territories” – rare patrimonies and heralds of beauty and wealth. 0 commenti su "The longevity of the vineyard"